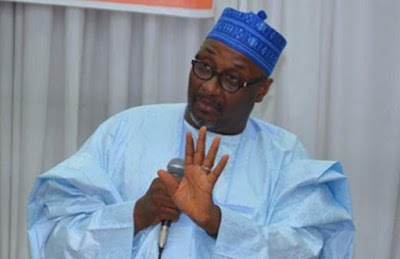 Former Chairman of National People’s Democratic Party (PDP), Ahmadu Adamu Mu’azu has ‘disowned’ the house where Economic and Financial Crime Commission (EFCC) officers yesterday discovered more than $50 million hidden behind false walls in a swanky apartment tower in the upscale Ikoyi area of LagosMr. Muazu who reached out to Saharareporters shortly after we published the report, however, failed to explain why the construction firm that built the house listed his name as a client. Etco Nigeria Limited, a construction firm partly owned by an Israeli company, Electral Limited, prides itself as haven built several residential and corporate complexes in Abuja, Port Harcourt, and Lagos including the property at No 16 Osborne Towers, Ikoyi, Lagos, where EFCC recovered over $50 million cash stashed away in fire-resistant cabinets behind a false wall on Wednesday afternoon. 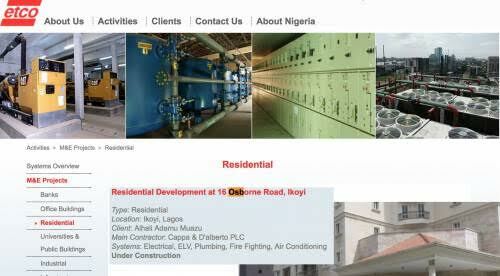 The company on their website listed Mu’azu as owner of the house. But at about 9:00pm Eastern Standard Time in the US, one Akin Oyegoke who identified himself as the “Media and ICT Personal Assistant” to Mr. Mu’azu called SaharaReporters from London to deny that the former PDP chair owns the building. He served as property manager of the Bauchi State Investment and Property Development Company. He ran for the senate seat in the 2007 but was defeated, but was later elected as chairman of his party, the PDP in 2014 before fleeing Nigeria in 2015 after the party’s candidate, Goodluck Jonathan was defeated in a Presidential Election that brought the opposition All Progressives Congress party to power.